HomeBlogHome DecorThe Torque Desk by I M Lab. 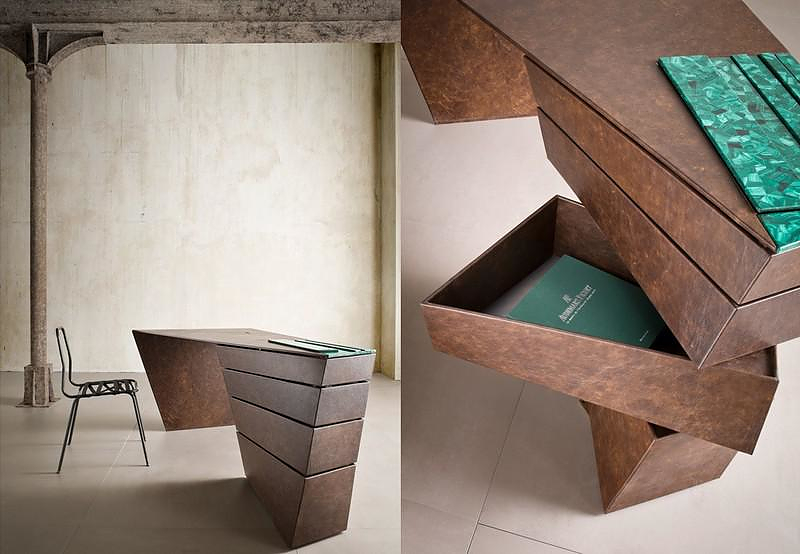 The Torque desk by I M Lab designers is the Avant Garde take on a traditional metal desk, characterized by minimal aesthetics and awesome-looking revolving drawers. 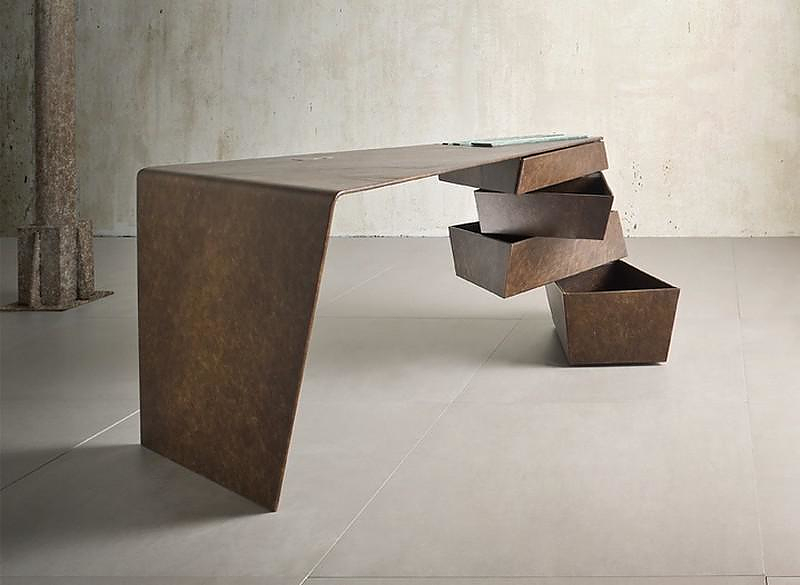 Torque desk features the ability to transform into a dynamic spatial object and contradict with the straight wall edges of the space it occupies. 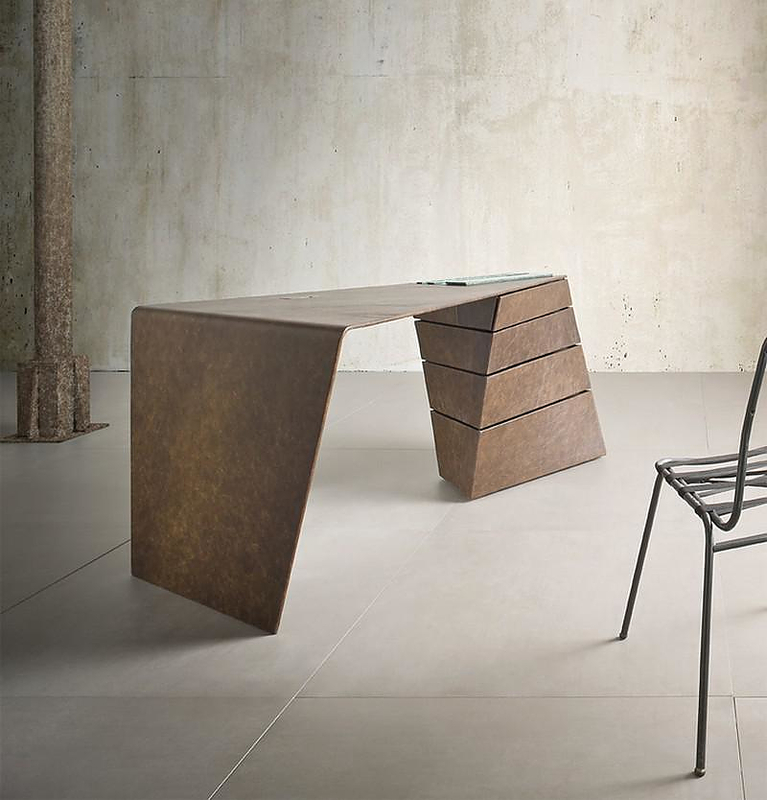 Torque desk is made of metal, a material ideal for the its case, as the twisting and the resulting tension requires a malleable and ductile material. I M Lab designers proved their hand craftsmanship and clever engineering and hand craftsmanship by ringing the torque desk into life. 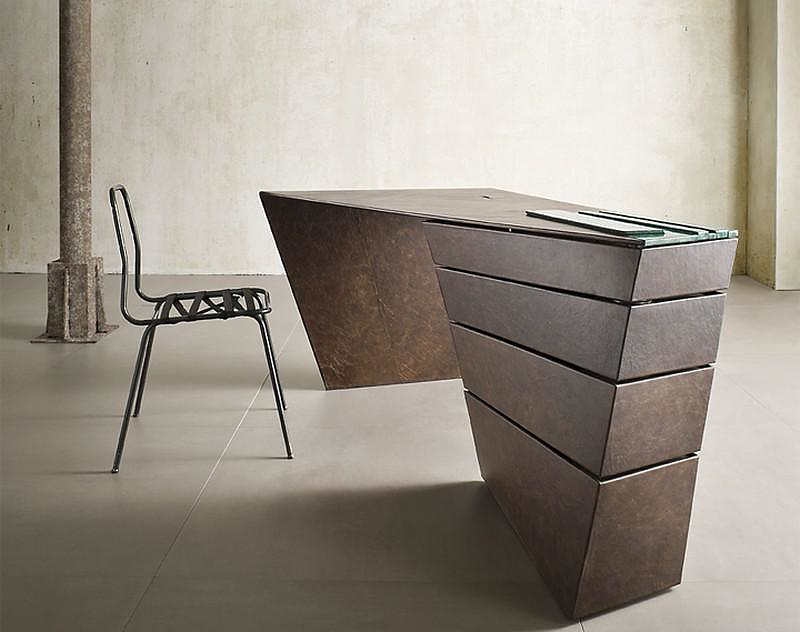 Torque desk is a modern and minimal structure where all the components of the metal body are structural as well as functional. 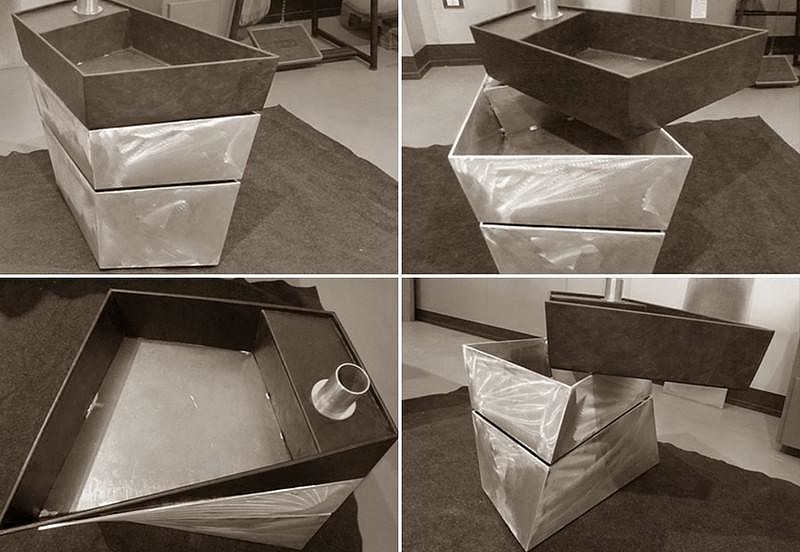 The flat plane of the Torque desk is folded to support itself at one end and seems to be resting on a stack of drawers on the other end. An end which is rest…less! 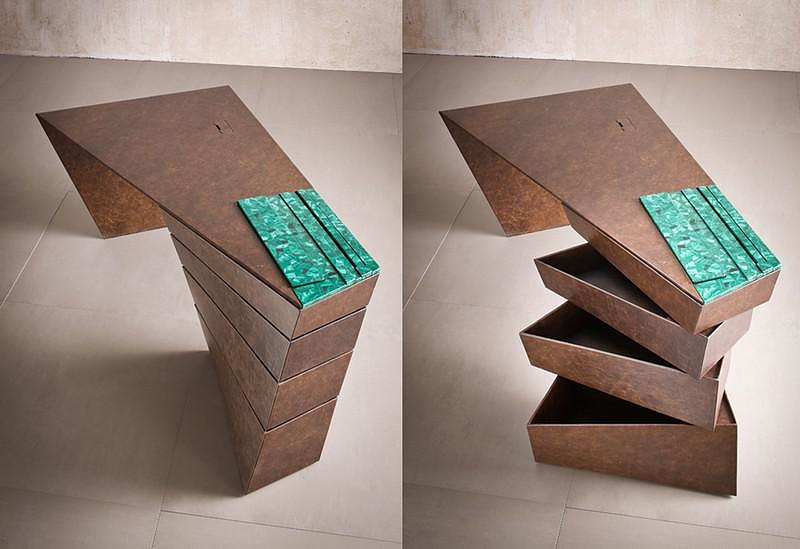 The rotating drawers are cantilevered around a spine which performs multiple functions of a support, a pivot and a cable management system connecting potential floor point all the way up to the desk surface. 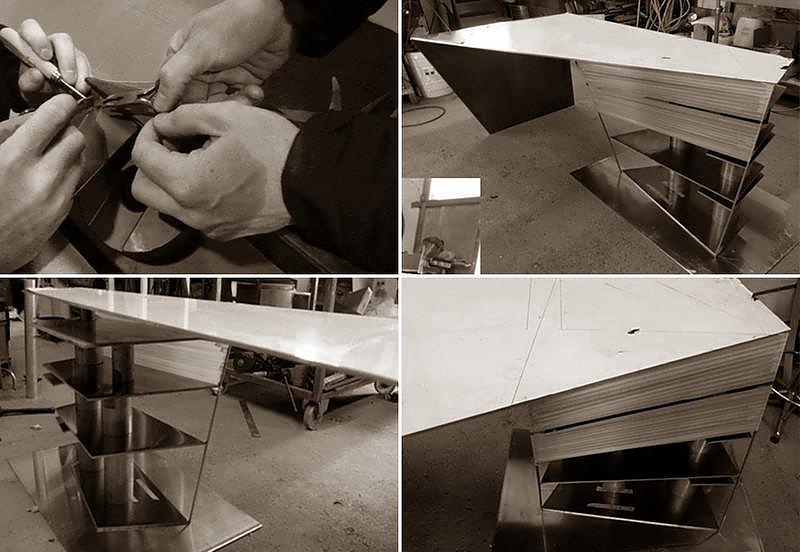 Seems complex but it is actually a relatively basic engineering idea that makes the Torque desk an honest construction that uses its materials economically, both for structure and aesthetics. 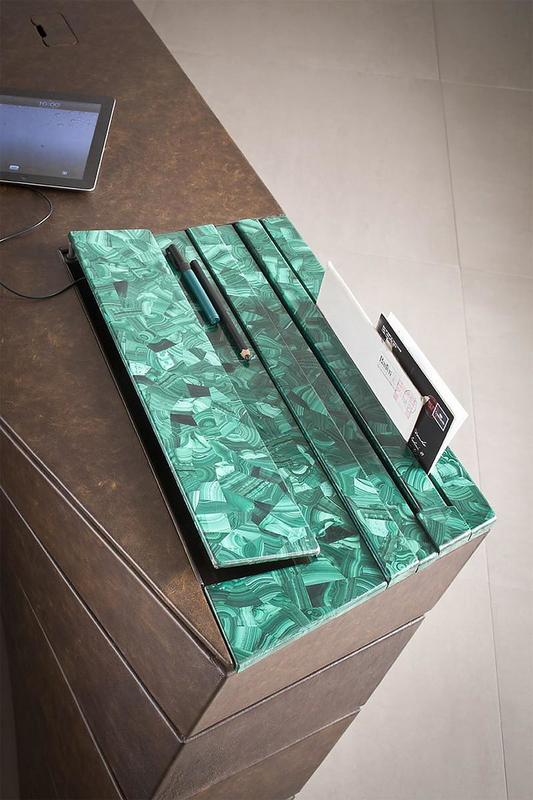 Highlight of the design is the malachite letter and pen holder on its surface. I M Lab consists of Alessandro Isola and Supriya Mankad, both architects and designers of highly adaptable to the user furniture. 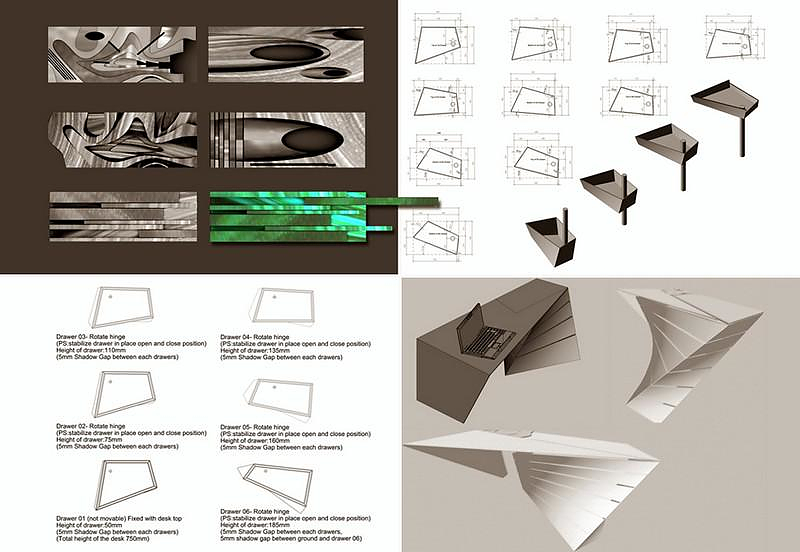 I M Lab concepts focus on the relationship between technique and materiality, pushing the limits of both.